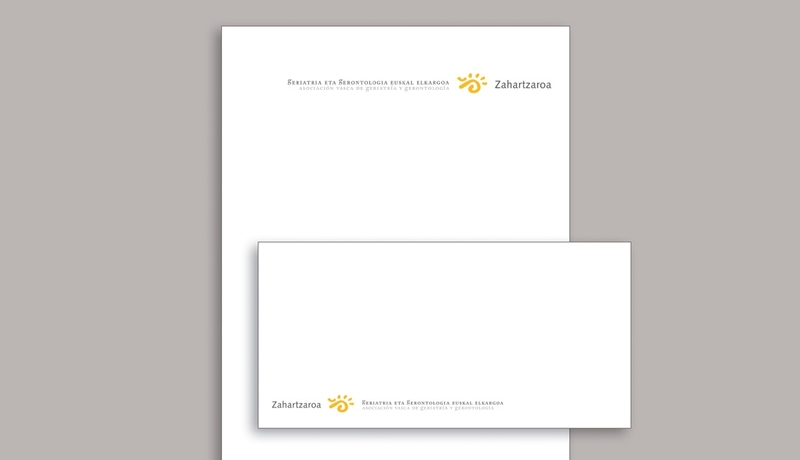 Zahartzaroa. 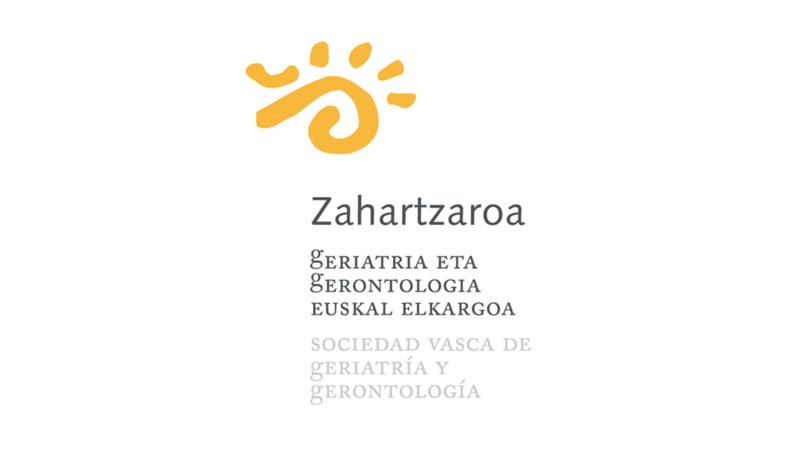 Basque Society of Geriatry and Gerontology. In geriatric centres caregivers work very closely with elderly persons. Looking after them is a rewarding activity for both, caregivers and residents. The design intends to change the misconception that the third age is necessarily a dark and joyless time. Duplicate texts are a common issue that designers from bilingual countries have to deal with daily. In this case Basque and Spanish are differentiated by position and colour.